Tonight in Britain a new BBC documentary will claim that 300,000 Spanish babies were stolen from their parents and sold for adoption over 50 years. 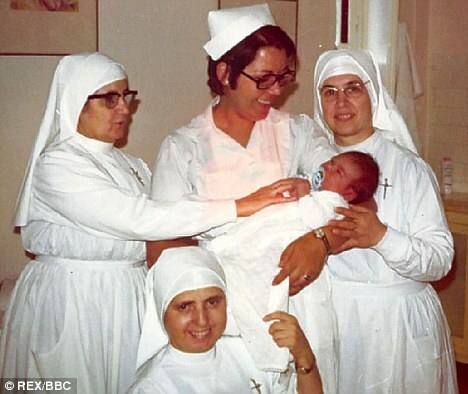 The shocking practice began during General Franco’s dictatorship, trafficking babies by a secret network of doctors, nurses, priests and nuns, and it continued until the early 1990's. Children were removed from the homes of politically suspect parents, or from single mothers or the unreligious, and transferred to good Catholic homes. The investigation reveals the practice operated like this: after the mother gave birth the child was removed from the room, then some time later the mother was informed of its death. The mother was usually denied permission to view the child's body. At other times a doctor would present the mother with an infant corpse kept in the hospitals freezer. Many grieving parents attended masses not knowing the coffin was empty. Priests, doctors, nuns and nurses all conspired to deliver babies to eager adoptive parents (there was a profit motive, but there was also a religious and political one too). This crime was repeated year after year in multiple Spanish cities and even today the precise details of how it operated are not fully known. But that is due to change tonight when BBC2 airs This World: Spain's Stolen Babies. To learn more about the scandal click here.